Pacquiao fought Mayweather with hurt shoulder. 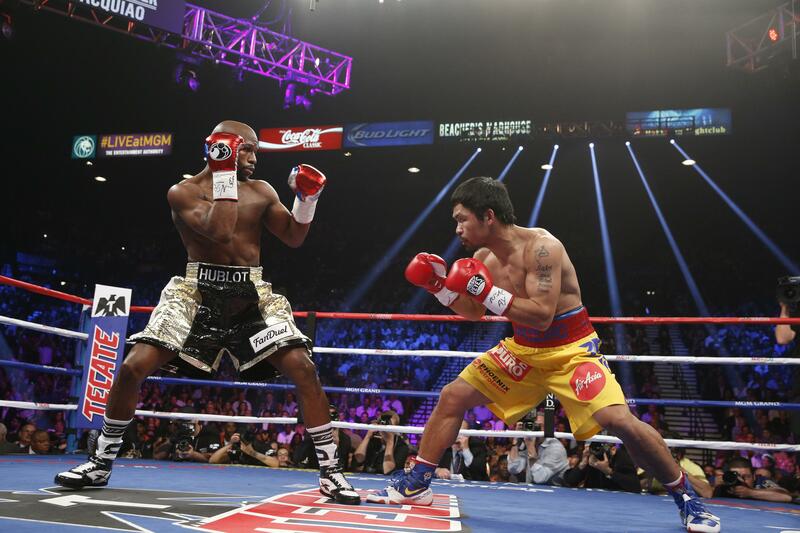 Floyd Mayweather Jr., and Manny Pacquiao (R) fight in a welterweight unification bout on May 2, 2015. The Mayweather–Pacquiao fight came in like a lion on Saturday night, but despite the billing, the action in the ring didn’t exactly scintillate. There are a number of potential explanations for the lack of style points—from age to boxing styles—but Manny Pacquiao offered up another reason post-match: The 36-year-old was fighting hurt. The injury, along with the mysteriously misfiled paperwork, will certainly continue the debate over whether the Mayweather–Pacquiao rivalry is, in fact, settled. It might also pique interest in a rematch of last night’s bout, from which Mayweather is expected to take home $180 million, and Pacquiao $120 million.